Summers in Colorado can be moderately hot and very, very dry! Grasses, trees and shrubs that thrive in a summer climate of low relative humidity and lots of sunshine still need periodic care and maintenance, while periodic lightning and hail can cause unexpected and sometimes irreversible damage. 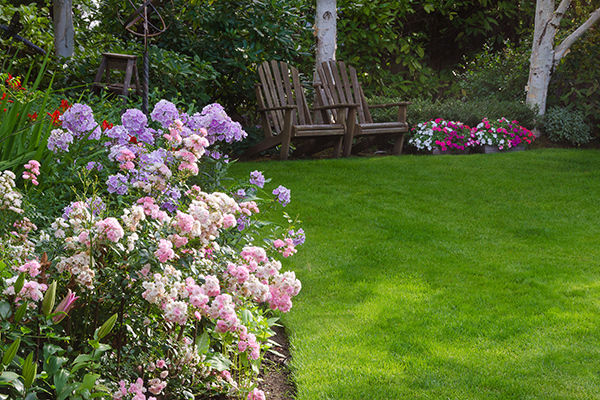 Luckily, by following a few of these tips and tricks, you can help minimize or mitigate the damage that a Colorado summer can do to your lawn, trees and shrubs. Is Your Turf Too Dry? 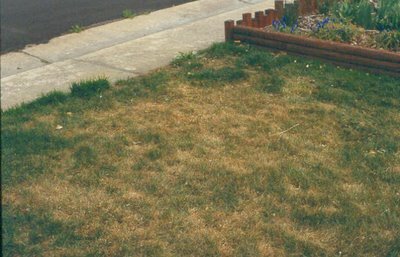 One of the primary culprits of brown, dead Colorado lawns is dry turf, and neglecting or underwatering your lawn after a more moderate spring season can leave your grass and turf high and dry. 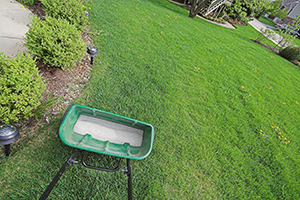 Test your turf by pressing into it with a hoe, rake or shovel – if the topsoil doesn’t give easily, you likely need to water your lawn more extensively, but be sure you’re following any water guidelines or observing any restrictions that are in place. We all know that it’s possible to overwater a lawn, but did you know it’s also possible to overfertilize your lawn as well? Applying too much fertilizer can require a higher than normal amount of watering to compensate, and with lawn watering restrictions in place, overfertilization can result in a lawn that’s too dry to be healthy. Don’t Mow Too Close to the Ground! 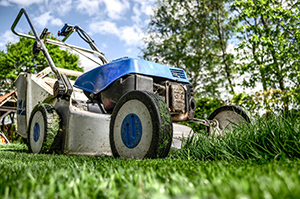 If your grass is still struggling in the summer months despite your best efforts to keep it watered and healthy, the problem may stem from your lawnmower blade – more specifically, you may have your lawnmower blade set too close to the ground. Grass that is “cut short” can struggle to regrow and can be more susceptible to disease and pests. We’ve all seen totally xeriscaped lawns, and we know that a brown, rocky lawn is not everybody’s cup of tea. We’ve also seen Colorado lawns covered in lush green grass, and we wince at the amount of water such a lawn requires. However, there’s no reason why your lawn has to fall on such extreme ends of the landscape spectrum. With selective landscaping that incorporates sections of lush, green grass with xeriscaped or naturally-barren sections, you can create a beautiful lawn that requires less watering and maintenance. During periods of drought, your trees will require watering, but in order to keep your trees healthy and robust throughout the year, it pays to water the right way. Keep the ground around your trees moist from the trunk through to the edges of the branches and leaves, and consider utilizing a slower or drip watering system or method, as you don’t want to saturate the ground with water for short periods. You can always call one of our professionally trained arborists to look over your yard. We are always willing to come out and spend some time with you to answer your questions for no charge. 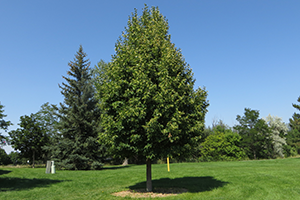 It is a great way for you to better understand the health of your lawn and trees. The more you understand how to care for your trees, bushes, and turf, the better your yard will look. Contact us today and we will set a window of time to meet up with you.